Kim Dao Blog life Merry Christmas Everyone! That photo was actually taken at work haha. 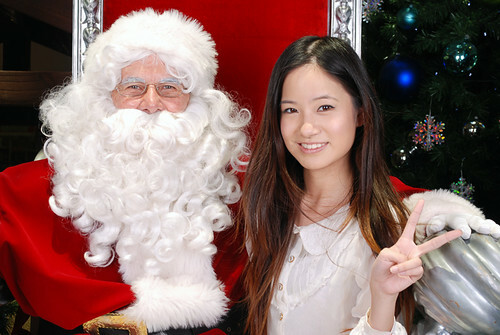 This year I worked as a Santa Photographer again at a shopping center, I had heaps of fun working there this year! (besides screaming kids haha). Since I've been working pretty much everyday for this month, I finally get a break tomorrow for Christmas! Because of that I will be broadcasting live on blogtv for a while, not sure how long yet but depends on if you have anything you want to talk about with me ^_^ So if you have any questions feel free to ask me!